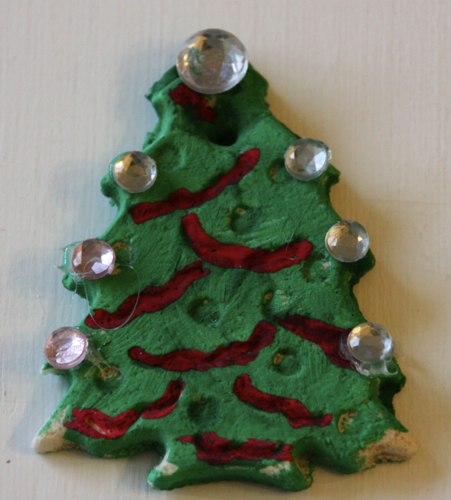 Salt dough ornaments are a simple, cheap, and fun project for your children this Christmas. If your tree is already full you can use these ornaments as gift tags for your homemade Christmas gifts or decorations in a food gift basket. 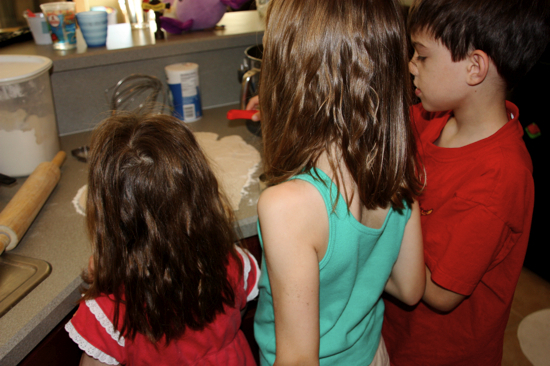 If you are wondering what salt dough is, it’s that same familiar recipe you used in elementary school to make maps! Mix together flour and salt. Then mix in the warm water. 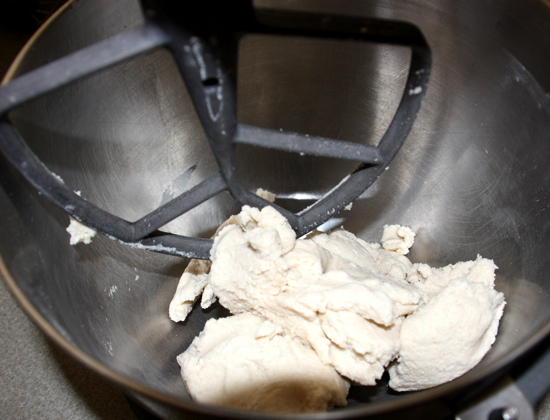 Mix until you have a dough that is similar in consistency to pie crust. 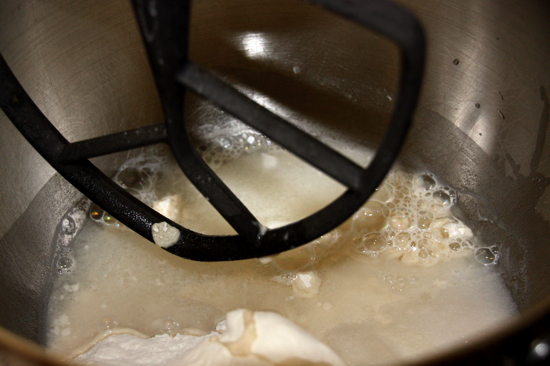 Take the dough and place it on a floured surface. 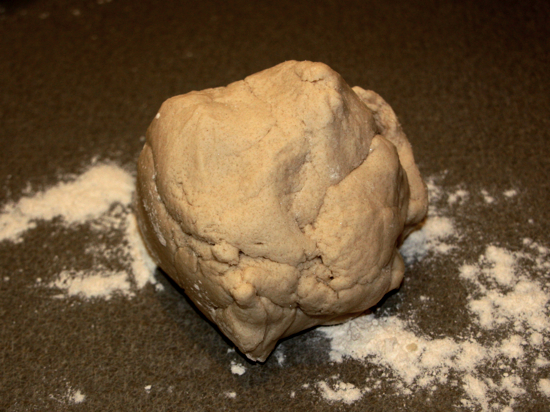 Roll out the dough until it is about 1/4 inch thick. Use cookie cutters to cut out shapes. If you don’t have cookie cutters you could use a glass to cut circles. Make sure you have lots of helpers. Also make sure someone is watching the baby…. Put the shapes on a cookie sheet. Then take a sharp object (I used a meat thermometer) to put a small hole in each shape where you will insert the ribbon. Make sure the hole goes all the way through the dough, because it will close up slightly while baking. 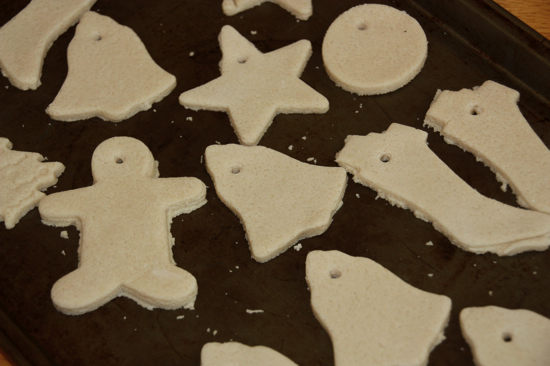 Bake the salt dough ornaments for 4 to 6 hours at 200 degrees or until hardened. 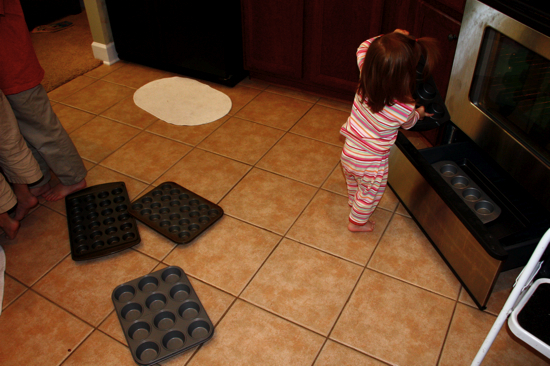 After the ornaments are finished baking let them cool completely. The ornaments are now ready for painting. 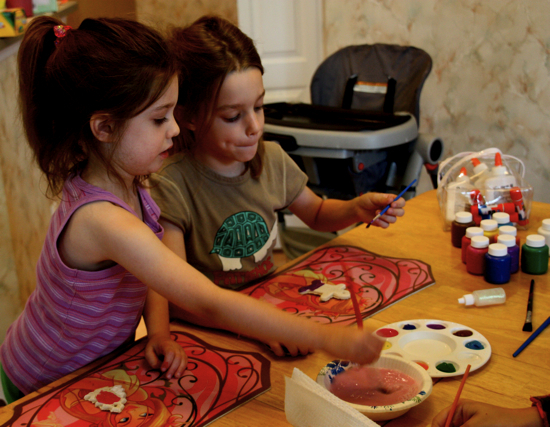 We used Crayola washable tempera paints. 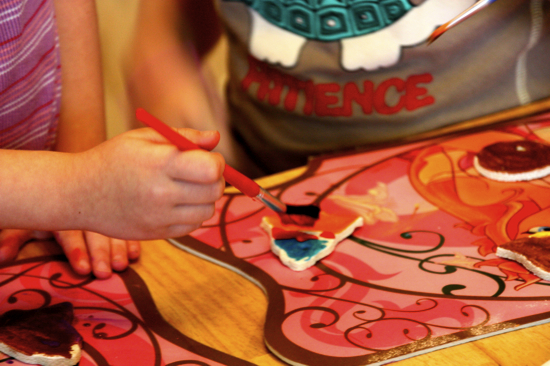 You can mix glitter with your paints for a sparkly paint, glue on sequins, or add stickers. Get creative! After the paint has dried thread ribbon through the hole and either hang the ornaments on the tree or use as gift tags. If you want to write on the ornaments use a sharpie, it works really well. See all our homemade Christmas gift ideas here. Love this! I run a daycare and this is an awesome activity for the kids! I finally had to throw out a salt dough decoration my daughter made when she was in elementary school. She is 38 now. I loved that little ornament… oh, and my daughter as well. We just had a big ornament making day on sunday with friends. We had a blast making salt dough ornaments. This is such a fun activity. 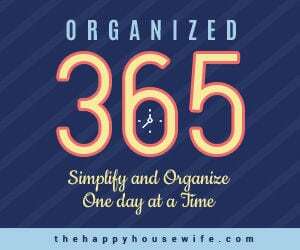 Okay, we’re trying this this week! LOVE IT! I actually think my mom still has some of these that I made as a kid, but I had no idea HOW I made them, lol! Thanks so much for posting this great tutorial! Looooove this craft!!! Will do it this afternoon after school! Thank you!!!!!!!! We are having a craft day tomorrow, so I’m making them as well. Then finishing them off with a spray coat of acrylic.. looking forward to all the fun! Love your site. 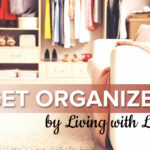 I have 8 kids and I am always looking for just about everything on your site, good recipes, crafts, etc. THANKS…. YOLANDA IN OHIO …… GO BUCKS! I have been doing these as a tradition for a couple of years. It is always so much fun. I love your site and your kids are super adorable! Merry Christmas! Love these. Great Memory from Elementary School days. Does anyone know if the dough can be colored with food coloring before baking? I’m sure you could add food coloring to the dough. It might lighten during baking. Can this be used to do handprints? I’m thinking of doing this with my Pre-K class as a Christmas gift from them to their parents. Yes, I’m sure that would work. I tried these with a recipe from another site but the oven temp was higher and my ornaments were all brown on the bake (like the underside of cookies). Yours don’t look brown at all. I am thinking the lower temperature and longer baking time might be the trick. Did you have any issues with this? I think it was the lower temp/ longer cooking time. *brown on the bottom or underside* I meant…. I saw on another site someone used lots of red food coloring to make little scarves and elf hats for her little ornaments. Very cute, but she did say it stained her hands, so I think washable paint is a much better idea. We used salt dough to make our Jesse tree ornaments. They will be keepsakes forever, I can already tell! Do I store them with all my other Christmas stuff, or should I keep them in the house at a more even temp in the off-season? After decorating with marker or paints, do I have to coat them with something? Another site mentioned polyurethine (spelling?) but I’d prefer not to (crunched for a time and it’s my toddlers craft project) if it’s not necessary. We didn’t coat them with anything. I wonder if we could use eggyolk paints and then bake? The laundry detergent is covering up the ingredients for the ornaments. Can you please tell me how much of what to use? I’ve been looking for ornaments to buy for favors for my wedding in december. However, I think I’ll use your recipe and make them myself. Thank you so much I’m so excited to do this! 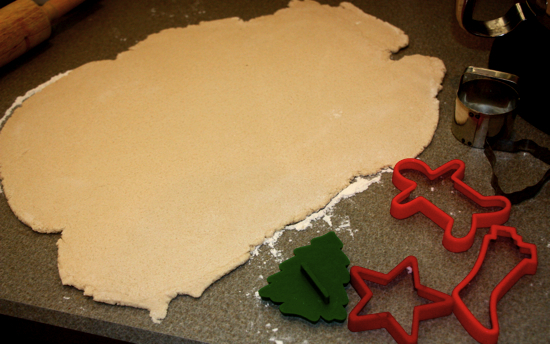 I need the salt dough recipe also… I think we are going to used patterned rubber stamps to give our ornaments some texture then paint them with a colored glaze. My kids and I are doing an ornament exchange this year with about 30 other people. Can’t wait to do this with them. Also I made tiny flowers with a about a 1/4 inch very skinny stem on it ,,used an old scooper for flour and put fresh clay or play-dough in the scoop and then after the flowers are baked and painted ,I pressed them into the scoop to make a bouquet for gifts..
what can I spray on them to preserve them? Baking these now & they are puffing up. How do i fix this?